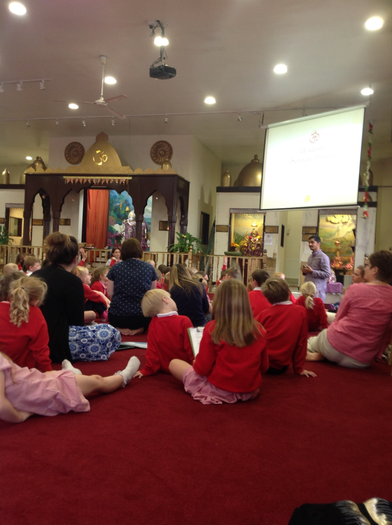 Year 1 visited Vedic Hindu Temple in Southampton. When they arrived they had the opportunity to observe morning celebrations and explore the Temple, looking for relics and artefacts they had learnt about in school. The Priest then talked to them about the Temple and why it is special to Hindus.